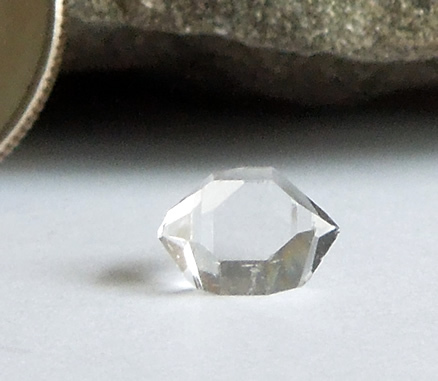 Less than 5% of our Herkimer's mined are AA grade quality, and even less of these are floater crystals. 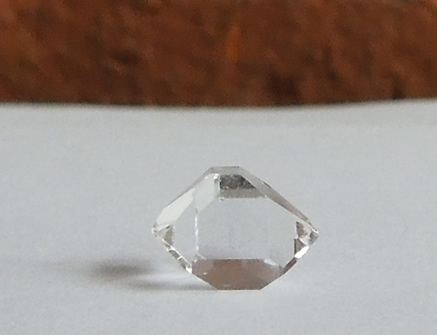 Our definition of a Herkimer floater crystal is one that has no matrix attachment or other external growth marks. It formed freely and completely inside the water filled vug. They are almost always AA grade and are not only eye clean, but clean when examined with a 10x loupe. 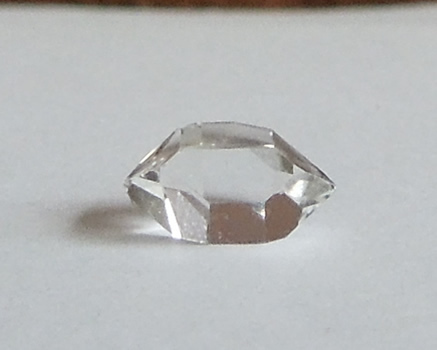 Quartz crystals are silicon dioxide and most regular quartz formed in matrix rich with silica as well. The crystals naturally attracted and attached themselves to the matrix, or host rock, resulting in a single terminated crystal. Dolomite (Herkimer host rock) is rich in magnesium and believed to be low in silicon, since Herkimer's did not attach themselves to the host rock, but rather repelled from it. 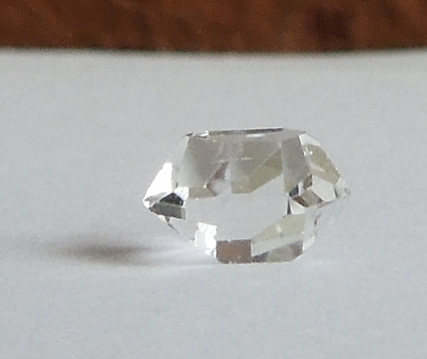 This allowed Herkimer Diamonds to form freely in the water filled vugs, developing two termination tips vs. a single tip. 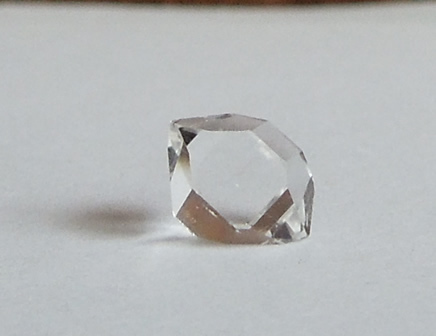 They are one of the most rare type of quartz crystal. 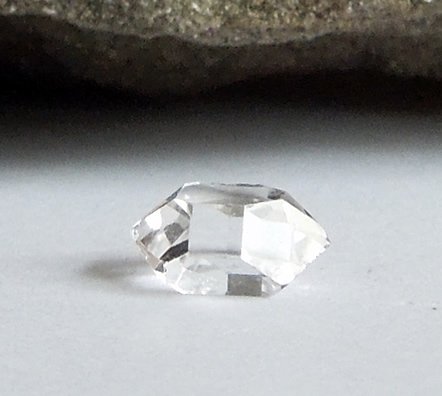 A floater AA grade Herkimer crystal is as brilliant and perfect as they get!